Longtime supporter of contributor to Yak Outlaws, Dustin Schouest, has always had an interesting take on his articles, and this time is no different. 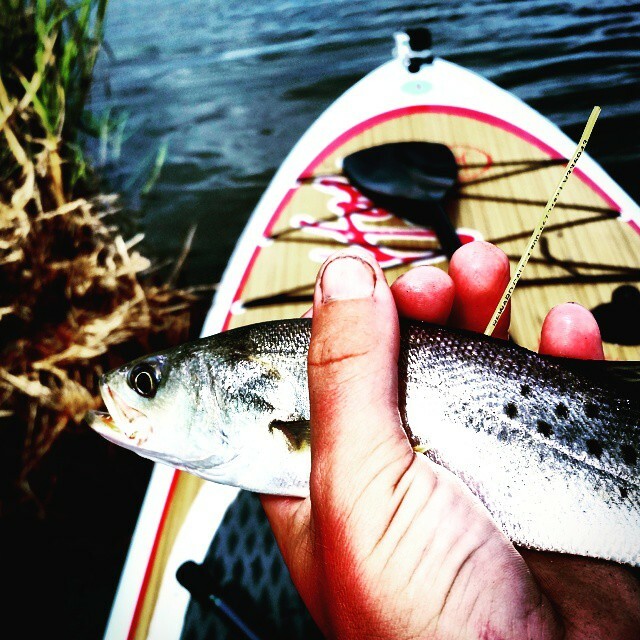 Dustin offers us a tale of being fully immersed into the SUP lifestyle and fly fishing. 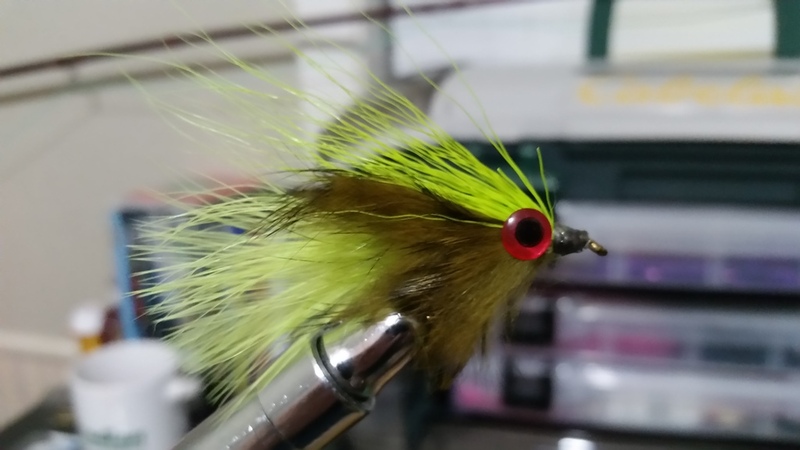 From the conception of handmade flies to targeting specific species with those flies in Louisiana. We hope you enjoy this tale of flies and men. There was nothing on the hook yet. It was a blank canvas. To some, it would have been perfect how it was. But to me, it was a painting on an easel, and I was Bob Ross. First things first. I took my lucky Pacman glass and did two swallows of one of my favorite adult beverages. The cold liquid hit my stomach like a bomb, and filled my mind with ideas. Awesome ideas. The glass was replaced with a bobbin of pink thread. Or “lightish” red for those who either aren’t comfortable with their masculinity or fans of the Internet series Red vs Blue. I wrapped it a few times around the hook, a quarter inch from the eye. Beside me came the ambient music of Japanese musician and madman Akira Yamaoka. His haunting Silent Hill music lulled my worries and helped me create an illusion. This vice and hook are my world. There are no troubles. I’m not in debt. I’m not depressed. Life is beautiful. I suffer from chronic depression. It has been crippling at times, sometimes shutting me down and leaving me a broken shell. I would sometimes be consumed by it, left a blubbering mess, and at times, a bleeding mess. It had lead me to attempt bad things many times. I could even describe the taste of a shotgun barrel by memory. The next ingredient on the fly were bead chain eyes. These came from a fan pull cord. A dozen wraps one way, a dozen another, and a few figure eights would secure them. Each wrap behind the eyes towards the barb eased the burdens from my mind. And by the time I tied in the pink chenille, the haunting tunes, and the power of tying my own flies had brought me from my personal Hell, or Silent Hill, towards the light of life. I wrapped the chenille to the eyes and brought the thread in front of them. With another sip from my glass, I cut and tied in a thin clump of pink craft fur, a little longer than the whole hook. The last piece of the puzzle were a few pieces of flash. And with a final whip finish, my batch of LaFluer Charlies were done. And my mind was at ease. “We are gonna tear the fish up tomorrow,” I told my Russian Blue cat, Sage, as she attempted to walk out of my room with a piece of deer hide in her maw. Thanks to an accident when I was a kid, my cats and my old dog were my children, and were my caretakers. I told them everything. Tomorrow while they slept in, I and my good friend Thomas Musso would be fly fishing in Pointe Aux Chenes for his first speckled trout on a hand tied fly. “Brother a fly ain’t gotta be perfect for the fish. Those flies are gonna be great for these specks!” I knew how he felt. My first flies and my first creations looked like the production of Victor Frankenstein’s lab. But, my first speckled trout thought it looked good enough, and inhaled it. No sooner had I told Musso those words that I saw his rod bend over double on a small trout. His smile shined brighter than the moon. We both laughed as he released the fish, casted out, and hooked into another smaller one. For the next hour we hooked into fish after fish, enjoying the fun and thrill of fishing. “Dude I’m sorry the fish aren’t big.”, I said with a bit of regret. None had been legal sized. “Dustin its all good! I’m out of the house, I’m catching fish, and I’m having fun! Size doesn’t matter nor do numbers. Fishing is about hanging out with friends and enjoying whatever happens.” Thomas was right. In his words was something I had felt the fishing world had forgotten. 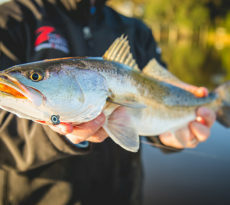 So many anglers think fishing is a numbers or a size game. They forgot that sometimes big fish and schools of them just don’t happen. And they will get upset about not having stellar days. But passionate anglers like Musso and I just enjoy being in the middle of the marsh fishing. Sometimes we might slam the big fish. Maybe we would get skunked. But what’s it matter when you have good friends, good drink, and smiles while sharing fishing stories? 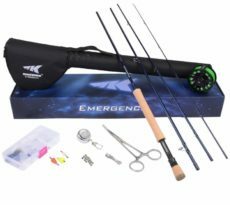 Who is going to care if you catch fifty small fish and only a few keepers? “Many men go fishing all of their lives without knowing that it is not fish they are after.” Henry David Thoreau was saying this about the happiness it brings us. And it is true. 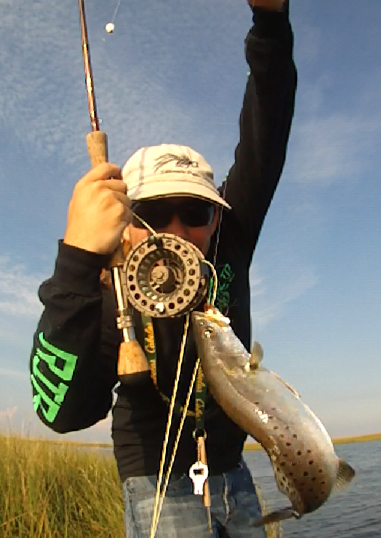 I don’t fly fish and tie flies for the catch. I do it to save my sanity and meet friends. 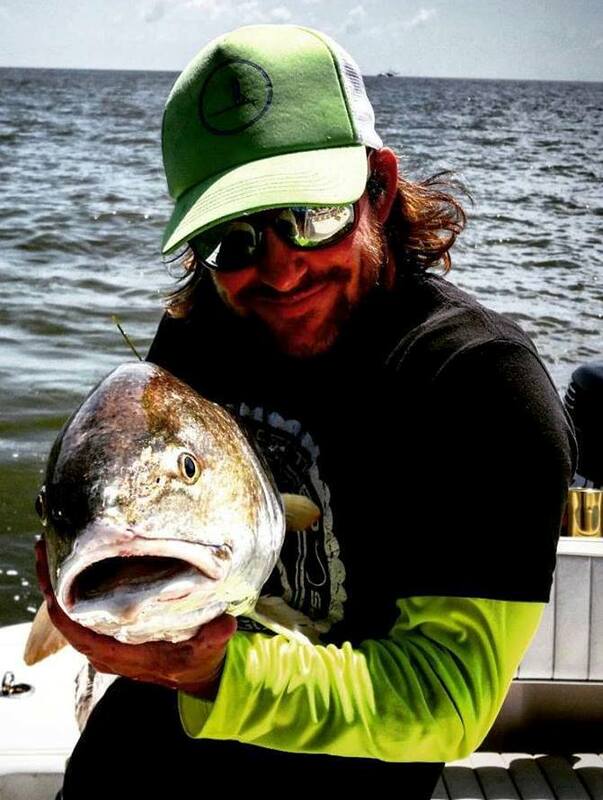 Dustin Schouest is a veteran angler from the small disappearing village of Pointe Aux Chenes, La. When not fishing, Dustin is usually found tying flies, editing video, or writing about his adventures from his YOLO Stand Up Paddleboard. 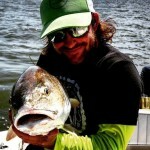 He is a member of the Hook1 Fishing Team as well as a member of Team Filthy Anglers.